Who took the Age-Group victories at Ironman Wales 2016? Ok, so this one is a little later than I had originally planned / hoped... but you can blame the Brownlee brothers for that! Their race in Cozumel has somewhat taken over the triathlon world for the past week...so, I'm still playing catch-up. 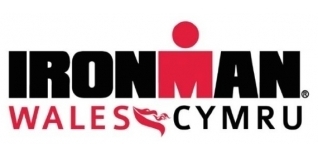 The Ironman Wales course in Tenby always provides both an immense physical challenge and an exceptional level of local support from a town that truly gets behind the event. Last week we published the race report from Great Britain's Philip Graves, who returned to Pro Ironman racing with a close second place finish in Tenby. The bulk of the field in any Ironman race of course are the Age-Group athletes, and here we say a huge congratulations to the following names who have taken the top positions in their respective age categories, along with a summary of the top five overall Age-Group finishers.